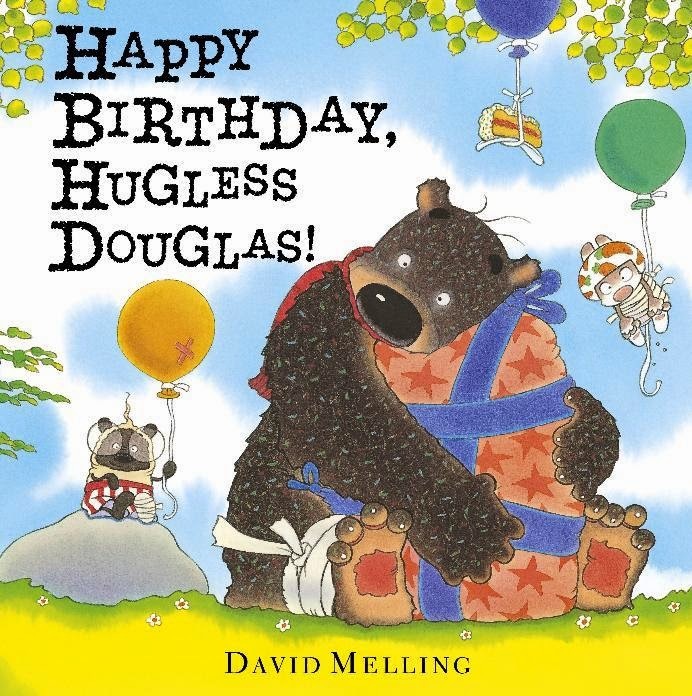 The adorable, truly scrumptious Douglas is back in his latest picture book adventure--in which he has a birthday party. It's a very special day. Douglas is blowing up balloons and waiting for his friends to arrive, which they soon do, bearing all manner of glorious pressies. Then the twin cousins arrive. Felix and Mash have brought a rather large present, but being the overbearing young souls that they are, they set to unwrapping the present before Douglas can get a single paw on it. Upset, Douglas goes out to have a go on his pogo stick, but he comes a cropper and things just seem to go from bad to worse. Ever heard that song 'it's my party and I'll cry if I want to'? Poor Douglas. Can his special day be redeemed? This is typical Melling warmth, charm and hilarity, with a storyline that resonates so well with kids, and illustrations to make you smile with delight. His characters are truly luscious--you just want to take them home and have afternoon tea with them.